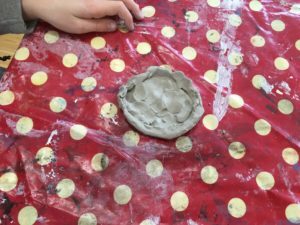 Over the last few weeks third class have learning about forces. We learned about pushing and pulling, balance, gravity, friction, air resistance and buoyancy. Pushing, Pulling and Balance by Kamanpreet. We talked about how an object could be moved. 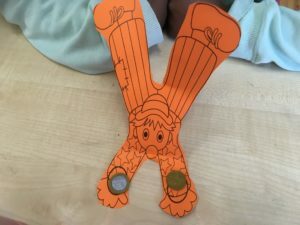 We were balancing clowns with coins for a science experiment. 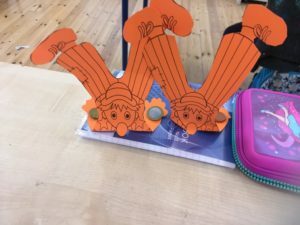 We cut out clowns and we stuck coins on their hands to make them balance upside down. We also made balloon rockets by tying a string between two chairs and putting a straw and stuck a balloon on the string. Gravity is the force that pulls things towards the earth and if there was more gravity everything would be squashed. On the moon there is zero gravity. A few weeks ago we dropped eggs ad play dough from different heights because we wanted to see the difference it made when the play dough and eggs hit the ground. Unfortunately, we got no results from this experiment as the range of heights was not big enough. Friction is when one object rubs off another object. 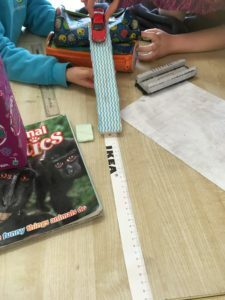 A few weeks ago we were doing friction for science. 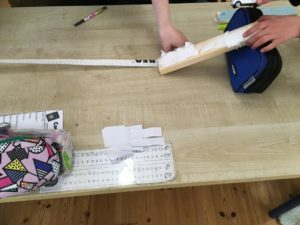 We got toy cars, ramps, measuring tape and different materials. We wanted to see which material would slow down the car the most. 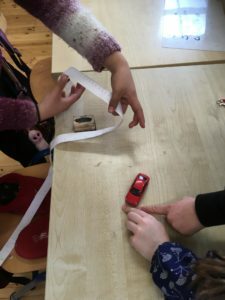 The cotton wool had the most friction as the car traveled the least amount from the end of the ramp. Hello, my name is Nora. 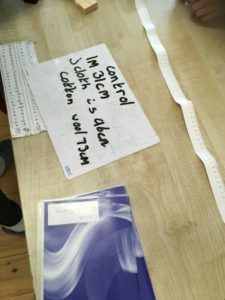 I am doing a blog post on paper airplanes. 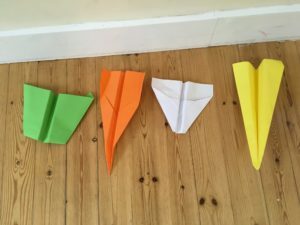 There were four different types of paper airplanes. The jet, the glide, the dart and the bug. My class had a race with the paper airplanes. Each table had a different types of plane. My table got the bug (which was the worst). The jet (made by Henry) won as it went the longest distance. When we flew them we marked where they landed with a piece of paper with our names on it. It was very fun. 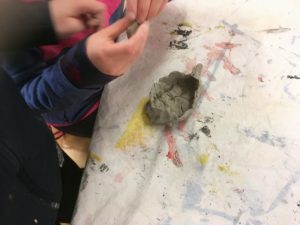 Third class learned about buoyancy by trying to design and make a boat using clay that would float. It was very difficult. Ms Rachel Lyng – Third Class 2017-2018 © 2019. All Rights Reserved.